Ideal for a wide variety of cleaning and storage needs. Same price at B&Q too, either orange or black. 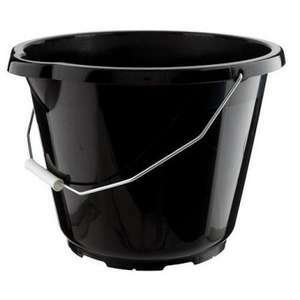 These buckets have been a quid at most hardware stores (high street chains) for the past decade! in time for ALS ice bucket challenge. I bought one last week. Good for a pound!